Dr. Jeff Strickland graduated from the University of Florida College of Dentistry in May 2002 and moved to Pensacola in August of the same year. Purchasing the practice from his former partner in June 2009, Dr. Strickland believes in providing excellent dentistry and building lasting relationships in a comfortable and relaxed environment. Dr. Strickland is an alumnus of the Pankey Institute for Advanced Dental Education, is an active member of a local Seattle Study Club, the Florida Dental Association as well as Northwest Florida Dental Association and Escambia Santa Rosa Dental Association. 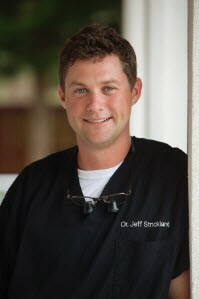 Dr. Strickland provides family, cosmetic, implant and prosthetic dentistry to all ages. Dr. Strickland has four boys, Gavin, Liam, Ian, and Tristan, who provide plenty of excitement at home. Jeff is a 2006 graduate of Leadership Pensacola and was the 2005 president of the Coastal Conservation Association Pensacola Chapter. Dr. Strickland has been named Best of the Coast and Best of the Bay. He serves as the emergency dentist for the Ronald McDonald House in Pensacola. Dr. Strickland has served on the Board of Directors for the Epilepsy Society of Northwest Florida, as Chairman for the local Epilepsy Resource Center and on the State Board of Directors for the Epilepsy Foundation of Florida from 2013-2016. He is an avid hunter and fisherman and enjoys snow skiing, as well as reading and traveling. His favorite pastime is spending time with his children. 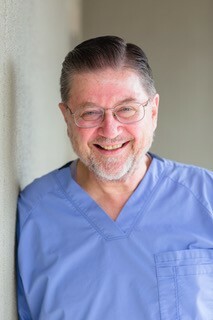 Dr. Marsaw graduated from the University of Michigan Dental School in 1975 and entered the U. S. Navy Dental Corps. He obtained specialty training in Prosthodontics at Bethesda, MD. He retired from the Navy in 2002 and began private practice in Pensacola. As a specialty provider, Dr. Marsaw's advanced training allows him to care for the most difficult dental cases as well as general prosthodontic care. Dr. Marsaw provides comprehensive dentistry while building positive relationships with patients to reach their dental goals. He has served as Prosthodontic Department Head over the years with the Navy and since establishing private practice has been a member of the Florida Dental Association and Northwest Florida Dental Association and Escambia Santa Rosa Dental Association. Dr. Marsaw and his wife Anne have two grown children. Hunting and fishing are on the top of the list for his favorite past times. He enjoys traveling. Dr. Marsaw attends Olive Baptist Church. With care ranging from implant restoration and dentures to cosmetic and reconstruction care, Dr. Marsaw sees patients of all age. 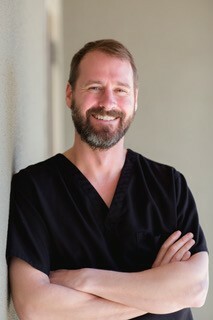 Dr. Digby is a graduate of the College of Dentistry at the University of Tennessee Health Science Center. Prior to admittance to dental school, Dr. Digby received his PhD at the Medical College of Georgia and performed postdoctoral studies at Vanderbilt University. His research in the studies of Alzheimer's and Parkinson's diseases have been published in several journals. He regularly volunteers at Remote Area Medical and Mission of Mercy dental clinics. He is a member of the American Association of Dental Research, American Dental Association, and the Tennessee Dental Association. Dr. Digby joined our office in 2018 and has a passion for family dental care. Traveling is a favorite past time for Dr. Digby as well as reading, hiking and volunteering. He also enjoys golfing, hunting, running and fishing. Dr. Digby is an active member of a local Seattle Study Club and also pursues continuing dental education at the Spear institute.